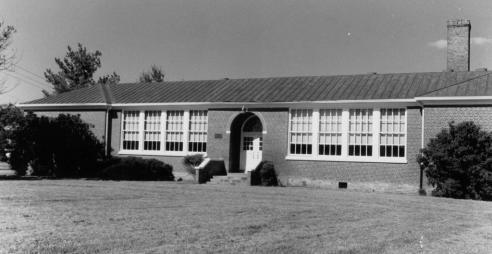 In 1950 the NAACP decided that it would no longer file lawsuits seeking equal educational facilities, but only those that sought to end segregated schools entirely. The Brown decision of 1954 was actually a judgment in five different lawsuits that had been consolidated because the principle to be decided was the same—the constitutionality of laws establishing separate schools for whites and blacks. One of the five lawsuits came from Virginia—Davis v. Prince Edward County, Virginia. On April 23, 1951, sixteen-year-old Barbara Johns led a student strike against inadequate facilities at grossly overcrowded Robert Russa Moton High School in Farmville, where science classes lacked even a single microscope. The NAACP took the case, however, only when the students—by a one vote margin—agreed to seek an integrated school rather than improved conditions at their black school. Then, Howard University-trained attorneys Spotswood Robinson and Oliver Hill filed suit. A state court rejected the suit, agreeing with defense attorney T. Justin Moore that Virginia was vigorously equalizing black and white schools. The verdict was appealed to the U.S. Supreme Court, where it was combined with four other cases, including Oliver L. Brown et al. v. Board of Education of Topeka, Kansas. That suit concerned an 1879 Kansas law that allowed large cities to operate segregated elementary schools even though secondary schools were integrated, and it gave its name to the consolidated Supreme Court decision. On May 17, 1954, the U.S. Supreme Court unanimously declared that "in the field of public education the doctrine of 'Separate but equal' has no place." In declaring that "separate educational facilities are inherently unequal," it explicitly overturned the reasoning of Plessy v. Ferguson. Brown II, issued in 1955, decreed that the dismantling of separate school systems for blacks and whites could proceed with "all deliberate speed," a phrase that pleased neither supporters or opponents of integration. Unintentionally, it opened the way for various strategies of resistance to the decision.